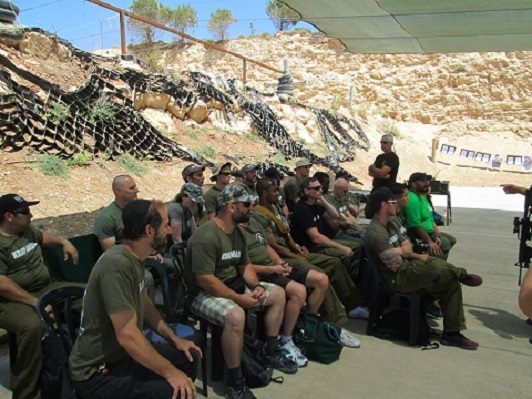 Experience Israel in a unique way with the IKI Krav Maga Tour and Train program. 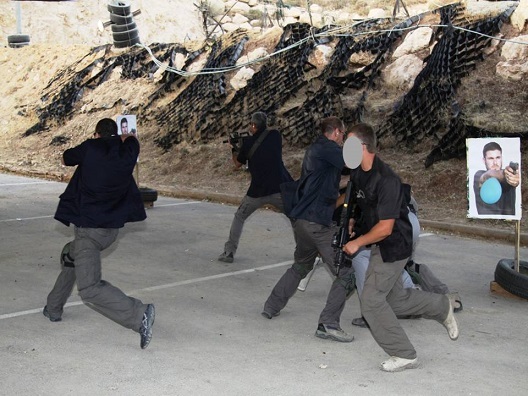 IKI Krav Maga and Caliber 3 Counter-Terrorism School combine to offer a VIP protection course. The course will take place as part of our Tour and Train Israel experience program. We do not offer this course separately. In order to participate you must have completed the Tour and Train program. This VIP course is two days long and is part of an 11 day Tour and Train program. Longer courses are available for those serious and willing to invest the time and effort. Contact us for details. 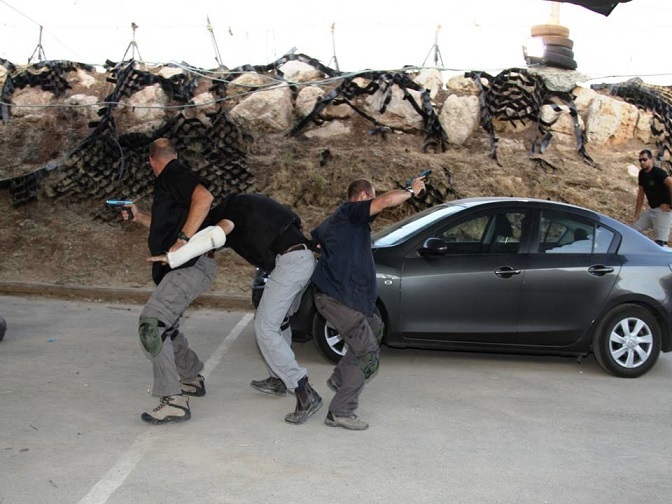 Srdjan, a leading security expert from Croatia, being "held up" in Krav Maga scenario training. 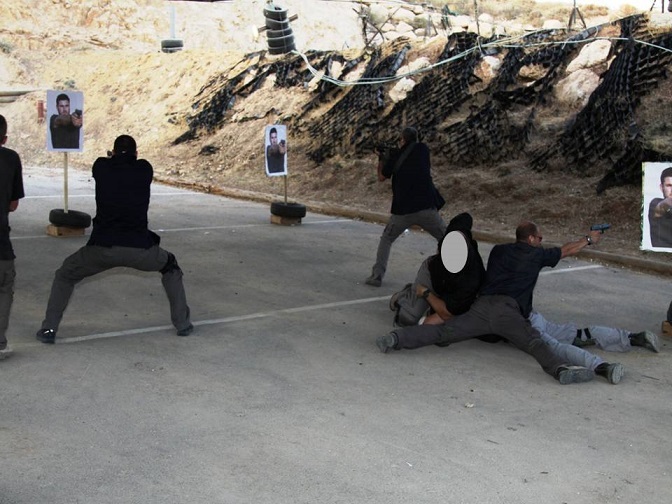 IKI Krav Maga offers cutting edge Krav Maga for today. This unique form of Krav Maga is still evolving. We are never content. • Defense in and around a car. Our instructors at Caliber 3 are the world's leading experts. This is where top security teams from all over the come to take their skills and ability to a new level. All instructors are active in this field. (enough said). Senior functionaries are exposed to many life threatening risks. 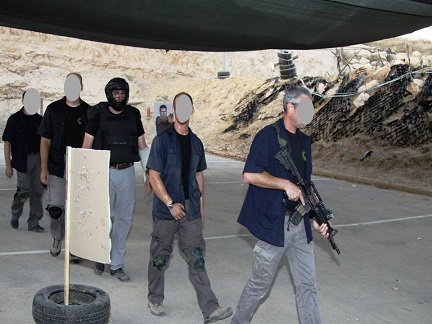 Our experience shows that professional training for the bodyguard together with operational experience is reflected in better protection for the V.I.P. Caliber3 training provides V.I.P protection whose goals our to change the mindset and physical abilities of the bodyguard. • Acquiring practical operational tools in order to increase professional performances. 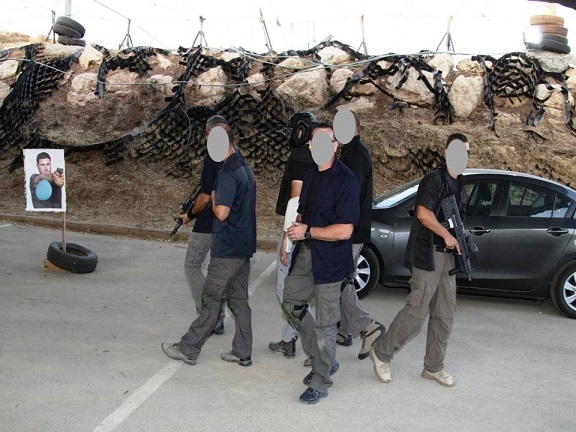 • Experience the Israeli unique training methods and operational logic. • Improve individual security and combat skills. • Change the mindset of the trainee. • Sharpen his or her reflexes. Basic and Advanced Shooting with Handgun. • Suicide Bombers, knowing the enemy. • Guarding simulations, plan of action. • Principles of the “Israeli point-shoot method”. • Instinctive & selective shooting. Shai, one of Israel's legends, trains how to protect a terrified girl.